We’re all familiar the little TM and R symbols that we see frequently on business names and products. However, when it comes to the process of actually registering a trademark or having to do it yourself, we know that often business owners are not sure where to begin. Trademarks, their registration, enforcement and protection, can be complex and the legal ramifications can be scary to say the least. 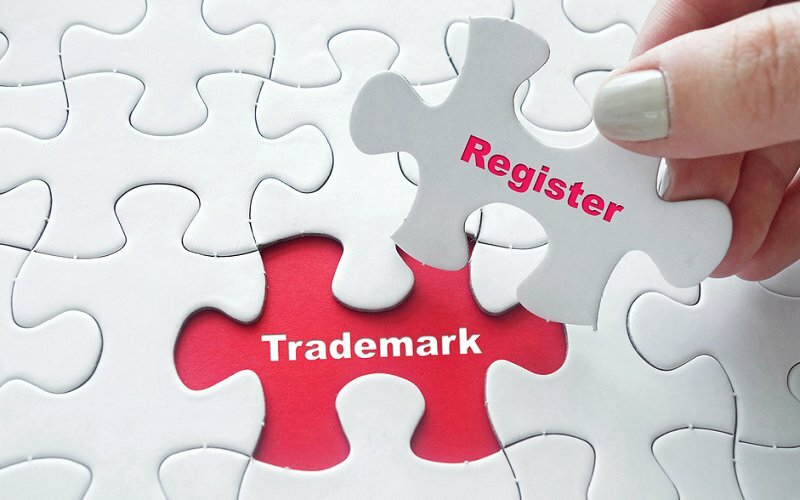 Due to fear of the process, cost or perhaps simply being unware of the trademark registration process, many businesses will simply use a trademark either before registering it or while their application with IP Australia (the body that governs trademarks in Australia) is being processed. They may not fully understand the risks associated with this, or be unaware that a pending trademark offers no protection against infringement. Unfortunately, it does happen that the use of a pending trademark results in infringing on someone else’s registered trademark, and business operators can be shocked to receive a letter of demand implicating them and setting out a number of actions they must take. At this point, smart business owners will turn to registered trade marks attorney to help them figure out their options – the worst thing you can do is become emotional and respond without seeking advice first. Lack of awareness or familiarity with the risks and responsibilities of using a trademark before having it successfully registered can lead to costly and stressful outcomes. Before deciding to go ahead with using a trademark before you have applied or before it has been fully registered, always seek professional advice. If I’m in the Process of Trademarking My Business name, Can I Still Use it? The process for registering a trademark takes a minimum of around 7 months to complete in Australia, and for new businesses, this can seem like a long time to not to be using their business name or other asset in the marketplace. The short answer to whether you can use it before gaining full registration is yes, however there are some issues you should consider. You will not have trademark protection during this period. This means that if you have started using your trademark, and another business decides to copy it, or has accidently chosen the same name, logo or other business mark as you, there will be very little you can do to stop the other party while the trademark is pending. Once the trademark has been registered, you are then able to enforce your rights as the owner and protect against potential infringements. This should always be considered with the help of a trademark professional. Once the trademark is registered, you are also then able to display the mark next to a registered trademark symbol, you can license your trademark to other businesses, and you can sell it, just as you would with any asset you own. Your unregistered use may be infringing on another registered trademark. This can be a risky exercise, especially if the business is on the ball, and sends you a letter of demand. This essentially will be a list of actions they wish you to take to cease the infringement and relevant time frames. This can be a stressful event, and any dispute that you may get into can be protracted as well as potentially costly. With this in mind, we always recommend caution to our clients when it comes to using a trademark during the registration process. In some cases it may be a low risk action, that is unlikely to lead to detrimental consequences, however having an expert in the industry advise you on the best course of action will help decide this. During the 7 Month Waiting Period, Should I have a Backup Plan? If you’re waiting for your trademark to come through, is it important to have a plan in case things don’t go the way you hope. While the registration process takes a minimum of around 7 months, we suggest that clients take advantage of a pre-filling assessment that can be completed before formally filing. Typically this is the way in which Quick Off the Mark will file applications for clients, unless there is sound reason not to use this service. This essentially provides an early indication that everything is fine and your trademark is likely to be approved, or that IP Australia does not consider your proposed trademark acceptable for registration. This early assessment means that you will have a better idea of where you stand in relation to the validity of your application in just a few days, rather than a few months. This can save you money and time, especially if IP Australia does wish you to make changes to the application or has queried something to do with your trademark. In these cases, we can help you make any changes deemed necessary or ensure you have a ‘plan B’ strategy going forward for your business. When is the Safest Time to Start Using the Trademark? All things being equal, the safest time for you to use a trademark is when it has been fully registered with IP Australia. The risks associated with using the trademark during the registration process have been mentioned above, but you should also be aware that even if you have had notice from IP Australia via the pre-filing assessment that your application will be successful, there is a possibility that someone will notice your application and oppose the trademark. While this is not a particularly common occurrence, it does happen, and where viable we would encourage clients to minimise any costs associated with promotion of the trademark – such as radio and television advertising and online marketing, branding on products – until we have confirmation from IP Australia that their trademark has actually been registered. As noted above, we do appreciate it is simply not viable for all businesses to hold off any promotion for 7 months, which is why it’s particularly critical to conduct as much due diligence before formally selecting a brand for your business to ensure the risk of use without full registration in place is low. Does this Apply to all Countries? Our advice around using a trademark during the registration process in another country is the same as in Australia – you will face risks if you do so, and the safest time to start using the trademark in a particular will be once it has been registered in that country. Your registered trademark in Australia does not provide rights/protection in other countries. As you can see, there are many elements to using a trademark, and being fully informed as to the various risks associated with using it during the application process can save you a lot of hassle, stress and potentially money in the long run. Don’t be caught out – it’s always better to wait until your trademark becomes registered and you are fully covered for legal protection for 10 years and where that is not possible, conduct as many searches and seek as much advice as possible to ensure the use is not too risky. For independent, professional and friendly advice, contact us and let us help you with any aspect of your trademark, from the application process, to risk minimising strategies, renews, assistance with enforcing your rights and disputes with other parties.